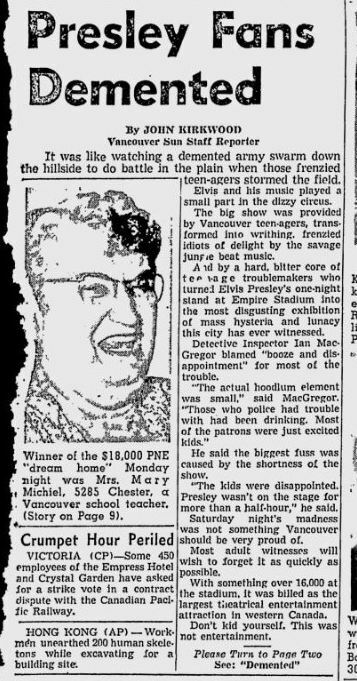 1959: While Elvis Presley’s popularity in the U.S. was arguably at its all-time peak, Mexico was in the midst of a huge anti-Elvis backlash. When Elvis’ movie King Creole screened in May 1959 at the Américas Cinema in Mexico City, newspapers who’d advertised the film under the title Melodía Siniestra (Sinister Melody) reported a “riot” occurring. Mexican counterculture novelist Parménides García Saldaña wrote a short story, “El rey criollo,” about the screening where several hundred gatecrashers reportedly shredded the seats and threw lit papers onto patrons from the balcony. The Cine Las Americas unleashed a series of negative diatribes against youth in the press and the broader society. As in so many other cities, the new rock and roll music was described as “demonic” and as perverting youth and turning them away from the presumably preferable habits of Mexican families. The government even took the extraordinary act of encouraging the National Institute of Fine Arts to prepare a list of acceptable songs. This was distributed to all broadcasters in the country, and they were forbidden to play songs that were not on the list. Fortunately the storm was short lived and parents were eventually convinced that the music was innocuous and even Elvis went in for a much more mellow take on Mexico. G.I.Blues, released in 1960 was a wide commercial success, despite being largely a conservative capitulation. And by the time Fun in Acapulco was released in 1963, teenage rebellion had entirely moved on to different and far more rebellious outlets. May 1959: While Elvis Presley’s popularity in the U.S. was arguably at its all-time peak, Mexico was in the midst of a huge anti-Elvis backlash. Aug 14, 2015 – Elvis Presley performs the Mexican standard “Guadalajara” in Spanish … took pains to set the record straight about the Mexican controversy. When I was a child in the 1970s I used to hear that Elvis Presley said, “The only thing a Black woman can do for me is buy my records and shine my shoes. There was the opening of a new shopping center and Elvis caused a huge crowd of teenagers. George Klein, Elvis’ former classmate at Humes High School was present too. Johnny Cash was in the audience and after the show met Elvis for the first time. Opal Walker was a young girl from Memphis at the time who was at the show that night and took 3 photos that have since been reprinted in countless books and articles. 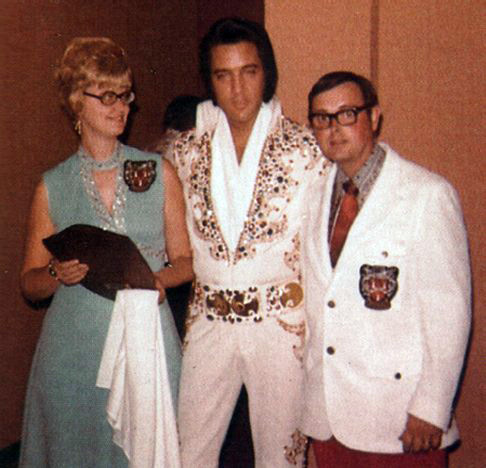 They are the only known photos of the appearance there though none show the actual performance and the official first Elvis fan photos. Katz Drugstore Launches Hillbilly Cat: Ironic or Iconic? The J.P. Seeburg Corporation introduces its new Dual Music System Jukebox, the first ever equipped to hold a hundred singles and two song per side Extended Play discs. Elvis performed at the McComb High School Auditorium, McComb, Mississippi. The Johnny Burnette Trio appear on Ted Mack’s Amateur Hour TV show. With Johnny on lead vocals and guitar, his brother Dorsey on stand-up bass and Paul Burlison on lead guitar, they won three weeks in a row, earning them a string of tour dates. It would take Johnny four more years to reach the US charts with “Dreamin” and “You’re Sixteen”. Elvis performed at the Ed Sullivan Show, CBS Studios, Los Angeles, for the very first time. Since Sullivan himself had had a car accident in August, Elvis was hosted by Charles Laughton in New York City. More than 80 % of the national viewers watched Elvis’ live performance of Don’t Be Cruel, Love Me Tender, Ready Teddy and Hound Dog. 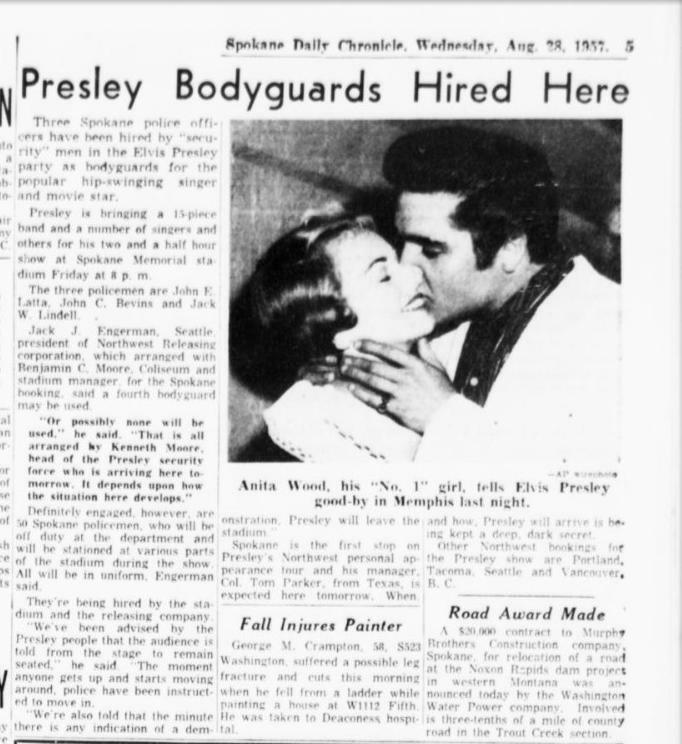 There were also well organized letter writing campaigns and petitions against Presley, but it was later brought to light that many of the signatures were fictitious or of deceased people. Love me Tender would get a million orders for a song not even recorded, causing “The Reno Brothers” movie to be renamed for the song. U.S. President Dwight D. Eisenhower signed into law the first civil rights bill to pass Congress since Reconstruction. A 16 year old Canadian lad named Paul Anka had the number one song in America with “Diana”. Jerry Lee Lewis‘ “Whole Lot Of Shakin’ Going On” peaks at #3 on the Billboard Top 100. The record would not only top the R&B and Country charts, but it would go on to be ranked #61 on Rolling Stone magazine’s Greatest Songs Of All Time and in 2005 be added to the National Recording Registry at the Library of Congress. That’s not bad for a song that Jerry Lee, along with drummer J.M. Van Eaton and guitarist Roland Janes, had recorded in just one take because Sun Records’ producer Jack Clement didn’t have enough tape left for any other attempts. Elvis and Anita Wood took a train to Memphis. Elvis rented a house at 525 Perugia Way in Bel Air, Beverly Hills. The owner of the house was Ali Kahn, and Elvis rented it for $1,400 per month. This was all due to several incidents at the Beverly Wilshire Hotel. Elvis stayed here off and on for the next 5 years. The Beatles were at No.1 on the UK singles chart with ‘She Loves You.’ ‘Please Please Me’ was at No.1 on the UK album chart. ‘She Loves You’ became The Beatles’ best-selling single in the United Kingdom, and was the best selling single in Britain in 1963. The Rolling Stones were at No.1 in the UK with ‘(I Can’t Get No) Satisfaction’ , giving the band their 4th UK No.1 single. US newspaper The Hollywood reporter ran the following advertisement; ‘Madness folk & roll musicians, singers wanted for acting roles in new TV show. Parts for 4 insane boys. The Monkees were born. 437 people applied for the job. Sam And Dave‘s classic, “Soul Man” is released in the US, where it will rise to #4 by the end of November. The song would be given the 1968 Grammy Award for Best Rhythm & Blues Group Performance, Vocal or Instrumental. Working at Abbey Road studios on The White Album, The Beatles recorded ‘Helter Skelter’. John Lennon played bass and honked on a saxophone, roadie Mal Evans tried his best at playing trumpet. Paul McCartney recorded his lead vocal and George Harrison ran about the studio holding a flaming ashtray above his head. 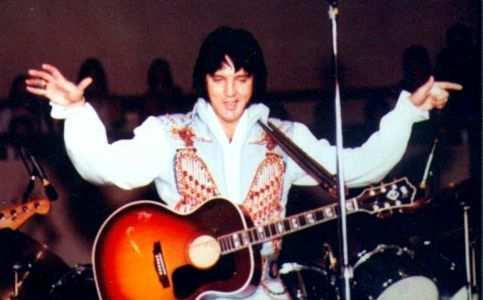 Elvis flew to Phoenix for a 6 city tour arranged by the Colonel and the tour started in the Coliseum, Phoenix, Arizona. John Lennon’s “Imagine” LP is released. It would reach #1 on both sides of the Atlantic. In 2003, Rolling Stone magazine named “Imagine” as #76 on its list of The 500 Greatest Albums of All Time. Elvis travelled to Los Angeles. Elvis and Sheila Ryan spent 5 days in Palm Springs together before Elvis had to leave for Memphis. The CD single for Elvis Presley’s “Rubberneckin’” was released. The disc also contained two remixes by Paul Oakenfold. Elvis performed at the St. Francis County Fair and Livestock Show Jamboree, Smith Stadium, Forrest City, Arkansas. 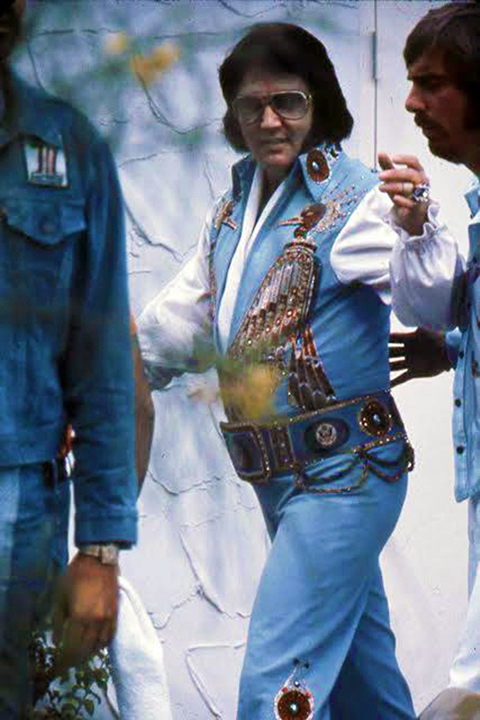 Elvis was the main act on a 5-day tour with Johnny Cash, Bud Deckelman, Floyd Cramer and Eddie Bond. Back in 1954 Elvis auditioned once for Eddie Bond without success. Gladys Presley was sitting behind the trailer on which Elvis performed. There was a recording session in the 20th Century Fox soundstage for the film Love Me Tender. Elvis continued to work on the vocals for a new song, Let Me, and another verse for the song Poor Boy. Jack Kerouac’s “On the Road” was first published. Elvis made a start with his Christmas album which Steve Sholes wanted for some time now. This all took place at Radio Recorders and he also recorded 3 songs for single release. Including Treat Me Nice. The regular Hollywood musicians were joined by Millie Kirkham and the Jordanaires from 12.00 to 8.00 p.m. In Charlotte, North Carolina, the “The Betty Freezor Show” on WBTV-TV became the first color videotaped program ever broadcast. Annette Funicello’s “Pineapple Princess” entered the Billboard Pop chart, where it will reach #11. The principal photography began at the Monorail terminal of the Seattle World’s Fair. A very young Kurt Russel was part of the scene. He had to kick Elvis in the shin. The Rolling Stones kicked off their fourth UK tour at The Astoria London. A 32-date package tour with Mike Berry and the Innocents The Mojos and Simon Scott and the Leroy’s. “And I Love Her” by The Beatles peaks at #12 on the US singles chart while “If I Fell” stalled at #53. The Animals started a three week run at No.1 on the US singles chart with ‘House Of The Rising Sun’. When first released the record company printed the time of the song on the record as three minutes feeling that the real time of four minutes was too long for radio airplay. To promote the group in the US, disc jockeys were sent boxes of animal crackers wrapped with special promotional material. The band would continue to turn out hits like “We Gotta Get Out of This Place”, “It’s My Life”, “Don’t Bring Me Down”, “Don’t Let Me Be Misunderstood”, “Monterey” and “San Franciscan Nights” before splitting up at the end of the decade. Sonny & Cher made their first live UK appearance when they appeared at the 100 Club in London. The Rolling Stones recorded their eighth single ‘Get Off Of My Cloud’ at RCA studios in Hollywood. The song peaked at No.1 in the US and the UK. After having his Beatle haircut chopped off and donning his once hated wire framed glasses, John Lennon started work on his role as Private Gripweed in the film ‘How I Won The War’. The black comedy directed by Richard Lester, was filmed in Spain in Almería Province and saw Lennon, taking a long-overdue break from The Beatles after nearly four years of constant touring. On their first ever visit to the UK The Doors appeared on Top Of The Pops performing ‘Hello I Love You’ live on the TV show. Hank Williams went into Herzog Studio in Cincinnati to record ‘I’m So Lonesome I Could Cry’. Williams wrote the song originally intending that the words be spoken, rather than sung. The song about loneliness was largely inspired by his troubled relationship with wife Audrey Sheppard. 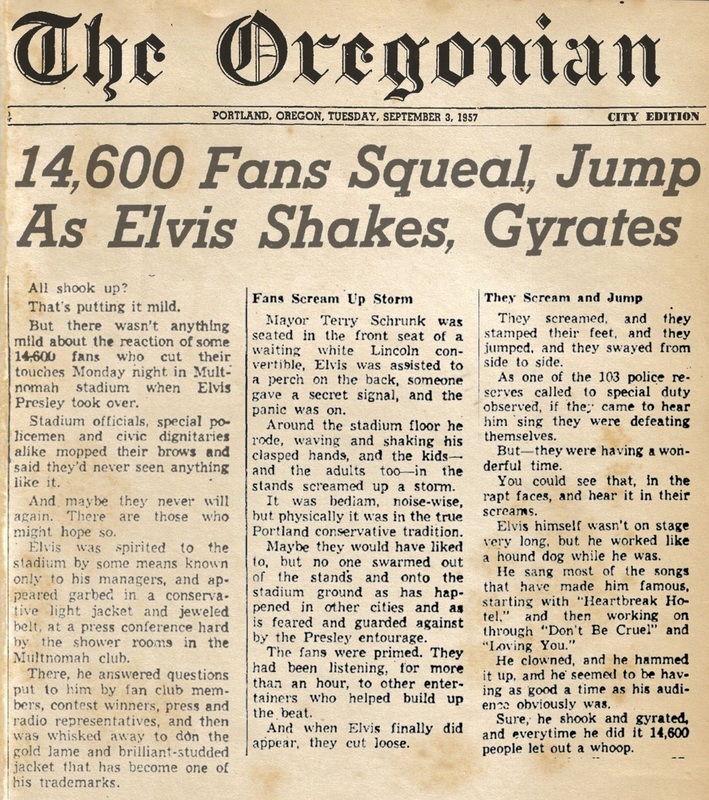 after a press conference, Elvis performed at the Memorial Stadium, Spokane, Washington. Bobby Darin‘s “Mack the Knife” debuts on Billboard’s Pop chart. The song, taken from a 1928 German play called Three Penny Opera, will be Darin’s biggest hit, reaching number one and winning a Grammy Award for Record of the Year. Soundtrack recording began at 7.00 p.m. at Radio Recorders but was canceled after only a few hours when it became evident that due to a cold Elvis was having difficulty singing. Elvis completed principal photography on Double Trouble. American band the Byrds released their sixth album Sweetheart of the Rodeo. The album has proved to be a landmark for the entire nascent 1970s Los Angeles country rock movement and was also influential on the outlaw country and new traditionalist movements, as well as the so-called alternative country genre of the 1990s and 2000s. Two weeks after the Woodstock festival, the second Isle Of Wight festival took place. Over 150,000 turned up over the two days to see Bob Dylan, The Band, Blodwyn Pig, Blonde On Blonde, Bonzo Dog Dooh Dah Band, Edgar Broughton Band, Joe Cocker, Aynsley Dunbar, Family, Fat Mattress, Julie Felix, Free, Gypsy, Richie Havens, The Moody Blues, The Nice, Tom Paxton, Pentangle, The Pretty Things, Third Ear Band and The Who. Tickets 25 shillings, ($3.00). Celebrities who attended include Keith Richards, Charlie Watts, John & Yoko, George Harrison, Ringo Starr, Jane Fonder, Liz Taylor and Richard Burton. The three day Texas Pop Festival took place featuring Janis Joplin, Led Zeppelin, Sam & Dave, Santana, Johnny Winter, Grand Funk Railroad, Delaney & Bonnie, Nazz, Spirit, B.B. King, Canned Heat and Chicago. Over 120,000 fans attended the festival. One Hit Wonders Zager and Evans started a three week run at No.1 on the UK singles chart with ‘In The Year 2525.’ The song which was written by Rick Evens in 1964, also spent six weeks at No.1 on the US chart. The Elvis Presley album “From Elvis In Memphis” hit #1 in the U.K. The Doors officially disband, two years after Jim Morrison’s death. Over the years, keyboardist Ray Manzarek and guitarist Robbie Kreiger attempted several reunions. Rod Stewart had his fifth UK No.1 album when ‘Atlantic Crossing’ started a five-week run at the top of the charts. The title indicated Stewart’s new artistic direction, and on his departure to escape the 83 per cent top rate of income tax introduced by British Labour Prime Minister Harold Wilson for the jet-set lifestyle in Los Angeles. 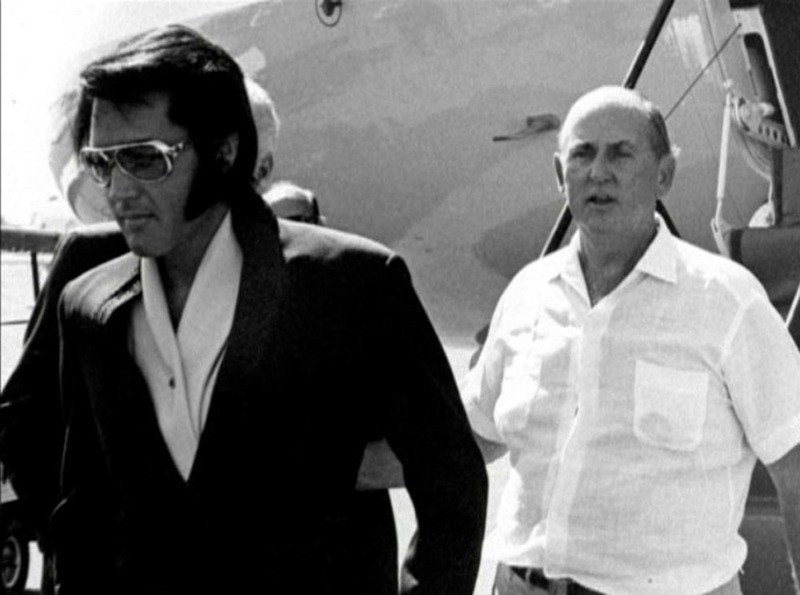 While in the hospital Elvis received get-well calls from both President Nixon and Frank Sinatra. 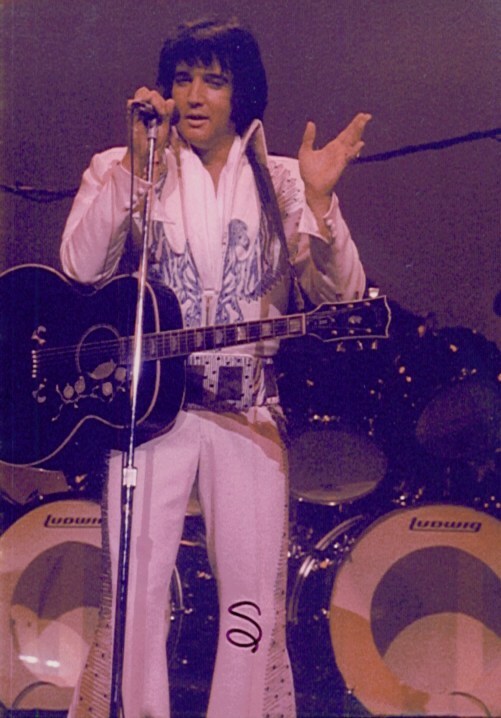 Elvis performed at the University of Alabama Memorial Coliseum, Tuscaloosa, Alabama. Alleging that Elvis Presley “was unjustly exploited during his lifetime by his record company,” his estate announced a multimillion dollar lawsuit against Arista Music, formerly RCA Records, demanding proper payment over new media income such as ringtones, downloads and entertainment apps. On June 1st, 2017, the court ruled in Arista’s favor saying that Presley had sold the rights to his songs to his music label RCA Records, now Arista Music and part of Sony, for 5.4 million US dollars in 1973 and had been sufficiently and fully compensated. The 2017 edition of Guinness World Records said that Ringo Starr’s copy of The Beatles’ White Album was officially the most expensive LP ever sold at auction. Guinness confirmed that a December 2015 sale at Julien’s Auction House set a new high for album prices when the first-edition copy with the catalog number 0000001, which was kept in a vault in perfect condition by Starr for more than 35 years, sold for $790,000. dear newspapers, you are a bit late to the internet and asking people to turn off advertising, which wastes bandwidthyour article looked like it might be interesting, but advertising is not why people go online, its why they left television. Raise that corner of your lip and quiff your hair, for Elvis Presley’s BMW 507 has left the building – and is headed straight for the Goodwood Revival, September 7-9.